The Links at Victoria offers golfers of all abilities a fun and challenging round. We have four different sets of tees measuring from as far as 6,804 yards to the front tees measuring 4,916 yards. Par is 72. 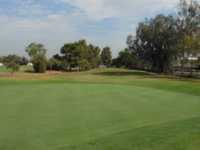 Our location in Carson is centrally located for golfers from the South Bay to Los Angeles to Orange County. br Completely redesigned in 2001, The Links at Victoria is a brand new golf course with the great conditions you would expect from a new course. You can expect a beautiful view of the entire South Bay and will enjoy gentle sea breezes every afternoon. Even during the hot summer months, we are always much cooler than inland areas.